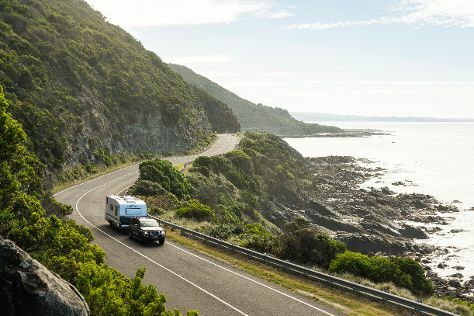 Take a break from Melbourne with a short trip to The Great Ocean Road in Torquay, about 1h 40 min away. Dedicate the 14th (Sat) to wine at some of the top wineries in the area. There's lots more to do: take in nature's colorful creations at Royal Botanic Gardens, let your taste buds guide you at a local gastronomic tour, take in panoramic vistas at Eureka Skydeck 88, and learn about wildlife with up-close encounters at Melbourne Zoo. For other places to visit, reviews, ratings, and other tourist information, you can read our Melbourne day trip planner. Glasgow, UK to Melbourne is an approximately 26-hour flight. You can also do a combination of bus and flight; or do a combination of train and flight. The time zone difference moving from Greenwich Mean Time (GMT) to Australian Eastern Standard Time (Victoria) (AEST) is 10 hours. In September, plan for daily highs up to 20°C, and evening lows to 7°C. Cap off your sightseeing on the 16th (Mon) early enough to travel to Mildura. Mildura is known for breweries & distilleries, fun & games, nightlife, museums, and theme parks. Your plan includes some of its best attractions: brush up on your knowledge of spirits at Fossey's Ginporium and Distillery, admire all the interesting features of Orange World, don't miss a visit to Lock 11, and admire the masterpieces at Mildura Arts Centre & Rio Vista Homestead. To see more things to do, where to stay, maps, and tourist information, you can read our Mildura trip planner . Getting from Melbourne to Mildura by flight takes about 3 hours. Other options: drive; or do a combination of train and bus. Expect a bit warmer weather when traveling from Melbourne in September: highs in Mildura hover around 25°C, while lows dip to 8°C. Finish up your sightseeing early on the 19th (Thu) so you can travel to Sydney. Venture out of the city with trips to Leura Post Office (in Leura) and Katoomba (Wentworth Falls & Blue Mountains). 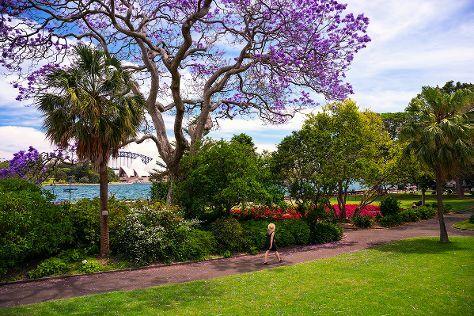 And it doesn't end there: admire the natural beauty at Royal Botanic Garden Sydney, trek along The Opera House to the Botanic Gardens Walk, see a show at Sydney Opera House, and take a stroll through Darling Harbour. For other places to visit, more things to do, ratings, and more tourist information, read Sydney trip itinerary planning site . Fly from Mildura to Sydney in 5.5 hours. Alternatively, you can drive; or do a combination of bus and train. Traveling from Mildura in September, Sydney is a bit warmer at night with lows of 14°C. Finish up your sightseeing early on the 26th (Thu) so you can travel back home.